Downtown Duval St. 2 bedroom 2 1/2 bath condo, located in the heart of Old Town. 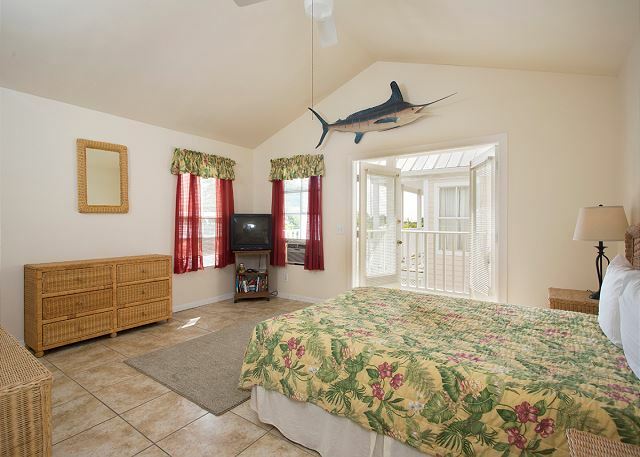 Walking distance to many of the main attractions and just blocks from the beach. Central a/c, washer/dryer, dishwasher and complimentary wi-fi. Located in the popular Duval Square complex which includes restaurants, hair salon, bank and convenient store just to name a few. You are in the heart of it all, but yet set back on the second floor, of the complex away from all the noise. Sit back, relax and enjoy the beautiful shared pool. A great location easy walk to things. Great location, clean and comfortably. Thank you for your feedback we greatly appreciate it. We are glad to hear you enjoyed your stay and hope to see you all again in the near future. Hello Steven, You are welcome! Glad you enjoyed your stay. We stayed here with our children and my mother over Thanksgiving. The location was PERFECT! We walked everywhere and nothing was too far away. It was very quiet, except for the crowing roosters, clean, well maintained, and had plenty of amenities. The condo was spacious and no one felt like they were crowded. We would definitely stay here again! Hello Diane, Thank you for your feedback, we are glad you enjoyed your stay. Hope you come back again soon. Excellent stay at an excellent location! This rental property was just as described. The rental company was very easy to work with and accommodating. The rental property was located right on Duval Street so we were a short walk from all of the entertainment. We really enjoyed the group of shops and restaurant downstairs in Duval Square. It was convenient to just walk down and grab a coffee or breakfast in the morning. The shared pool area was also really nice. We didn't use the pool, we were just too busy on our short trip, but we did sit around it during the mornings drinking our coffee and planning out our adventures for the day. Hello Tia-Marie, Thank you for your feedback we greatly appreciate it. Hope you and your family come back and stay with us again in the near future. Exactly what we expected the location was perfect. Just close enough to everything but yet quiet for relaxing. Loved the roosters and the birds at the restaurant below. Hello Shannon, Thank you for your feedback! We are happy to hear you enjoyed your stay and hope to have you stay with us again soon. Really no better location to stay while in Key West. Right on Duval. No problem with noise, other than the roosters at 5am. Clean, nicely decorated. Easy check in and out. Will definetely stay there again. The unit is comfortable and the location is great. Beds aren't the most comfortable and the unit could use newer/nicer pillows. The unit is in a good location and is in fairly good condition. Hello Jeffrey, Thank you for your feedback we greatly appreciate it. We will look into the things you have suggested. Hope to see you again soon. Enjoyed our stay! Thanks for the hospitality!! Great place, comfortable and friendly. Local restaurants were delicious and accommodating. It was exactly as described. We experienced NO problems with any smells associated with the restaurants. We had an absolute great time. Very roomy and clean!! Will stay here again. The location was perfect right in the heart of Key West on Duval Street. The apartment was perfect although it sleeps 6 we only used one pull out downstairs, Apartment came with a second floor patio overlooking two restaurants. Pool was refreshing. Apartment was in excellent condition although we did very little cooking other than breakfast the kitchen was supplied with all the tools to produce a 5 course meal. I would say well worth the find compared to hotel room in Key West. Hello Stephan, We are glad to hear you had a wonderful experience. Please come back and stay with us again soon. Hello Maria, We are glad you enjoyed your stay and hope to have you stay with us again soon. Condo was located in great area of Key West. Walking distance to and from Duval St just right out the door. Condo was just what we needed. Only problem is if you have more than 2 cars get ready to open your wallet as well as good luck to find extra parking spots. knew this before going so be prepared if you plan on taking 2 cars. the unit is exactly as pictured, it was spacious and comfortable for our stay. Off street secured parking was a pleasant added touch. Right off of Duval but below Truman to stay out of the hustle and bustle but still be convenient. The only negative thing that I have to say is that the sofa was way more comfortable than the master bedroom mattress. Other than that, the property is great. Hello Sidney, Thank you for your feedback. Glad you enjoyed your stay and hope to see you again in the near future. Really nice place. We would definitely stay again. The only downside is the neighbor is a little bossy as she complained we were talking out on the patio at 10 p.m. We are not very noisy people. It was only three of us. But other than that it was a very very nice place. Fully equipped and clean. We would definitely like to stay again. There was no TV in the bedroom with the two single beds. That would have been nice but not necessary. Hello Gary, Thank you for your feedback. Hope to have you and your family stay with us again in the near future. Hello David, Hope you stay with us again soon. Fabulous as always, very nice updates. Fabulous location! Jaime and Becky are AWESOME! Hello Cathey, Thank you for your feedback we greatly appreciate it. See you again soon. The condo was very clean and comfortable. The location was perfect. Walking distance to everything. Circle K, CVS and awesome Panini/coffee shop right next to complex. Also restaurants everywhere nearby to include beneath the complex. Hello Lisa, Thank you for your feedback, we greatly appreciate it. Glad you enjoyed your stay. GREAT time! Great locaton, met all of our needs. Hello Kathy, Thank you for your feedback. Glad you enjoyed your stay and hope to see you again in the near future. Very clean and a great location for all activities! Great neighborhood also and very secure. Worth every penny. Hello Andrew, Thank you for your feedback. We are glad to hear you enjoyed your stay. Hope to see you again in the near future. Great location, central to everything. Bob, the rooster, provided AM wakeup calls each AM. Pool a nice refresher although not very large or deep. Girls getaway a lot of fun! Hello Valery, Thank you for your feedback, we greatly appreciate it. Hope to see you again soon. This was a great place to stay down in Key West. It's only a mile at most from Mallory Square, yet is down on the quiet end of Duval so you can still relax at the end of the evening. Hello Mr Vaccaro, Thank you for your feedback. We are glad you enjoyed your stay. We were satisfied with our property experience overall. We had one hiccup our last night that our lock did not work with our key. I am no locksmith but it became incredibly temperamental. This is no fault of the management, and they were prepared to drive from Marathon if we could not get in. The beds were comfy and the place was clean, although we did see one roach-probably a standard in the Keys though. Hello Jake, Thank you for your feedback and we are glad you enjoyed your stay. We addressed the lock and it is working fine. Hope to have you stay with us again in the near future. BMW Fantasy was the perfect place to enjoy our stay in Key West. Four of us (two couples, all in our 60's) flew to Florida, drove to Key West for the experience, and turned our car in at the airport when we got there. This location was ideal for walking everywhere in town. We never missed the car. We toured the Hemingway home, the Truman White House, and the Butterfly Conservatory, enjoyed several days on the beach, and had fabulous meals out most nights. The nice thing about renting a condo is that we made our own breakfast in the morning and stayed in for dinner twice. We enjoyed the patio and the condo pool. Becky, the property manager, was wonderful to work with. If we get back to Key West, we would stay here again. Hello Eileen, Thank you for your feedback, we greatly appreciate it. I hope to see you all again. the location was excellent. Would stay in that complex again. However, beds, and bedding were in very poor shape. The master bedroom mattress is very worn. The linens are old and scratchy. Everything else was completely acceptable. We are not a messy group, so it really didn't matter much, but having to wash the few dishes we had right before we left was a pain and taking out the trash too. What is the purpose of the cleaning fee? Clean, easy Duval street access, perfect for 5 days in paradise. Hello Jacqulyn, Thank you for your feedback we greatly appreciate it. Glad you enjoyed your stay and hope to have you stay with us again soon. Staying in Key West Vacation Properties is a great experience. Close to downtown, but removed enough to relax. Hello Bonnie, Glad you enjoyed your stay and look forward to having you stay with us again in the future. Excellent location, incredible amenities, great customer service. Perhaps the best rental experience we have ever had. Nice condo in a great location. Very well kept with everything you could need for your stay. There were four of us and the space was plenty large, and having 2.5 bathrooms helped a lot in the mornings. Only downside was the upstairs bedrooms tend to get a little warm, and the window blind in the smaller 2 bed room wouldn't close properly and gets direct morning sun blinding the person in the bed under it. We hung a sheet over it to fix, but that should be repaired as it's pretty bright. Hello Dominic, Thank you for your feedback we greatly appreciate it and will address it immediately. Had I known I would of taken care of this during your stay. We are not in the business to ruin or inconvenience any of our guest on their vacation. Hope to see you again soon and glad you enjoyed your stay. Raf O from Norristown, PA does not recommend this vacation rental. The unit was clean and well stocked with utencils and beach supplies. Issues were immediately addressed by the agency and remediated. The location was noisy since it was right above multiple restaurants. Hello Raf, Glad you enjoyed your stay. Hope to have you stay with us again soon. We greatly enjoyed our stay at this condo. 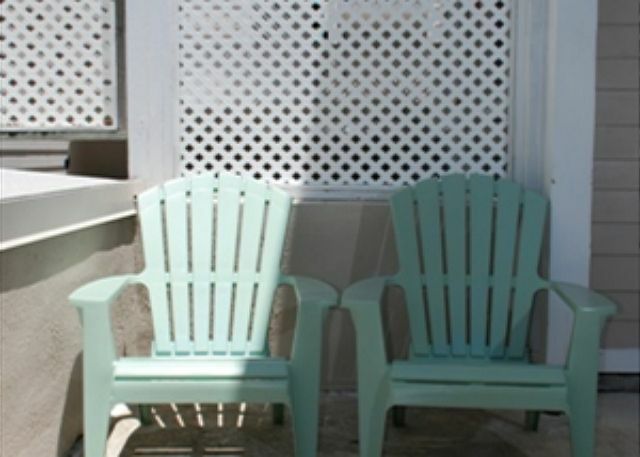 The apartment was stocked with everything we needed, the rooms were large, comfortable and attractive, the location was convenient to many great restaurants and attractions in Key West's hub, the pool was lovely with plenty of seating. Hello Daniel, Glad you enjoyed your stay and hope to have you stay with us again in the near future. Very nicely equiped rental that suited our needs perfectly. This unit was well equipped with anything you may need to cook and clean. There were many extra towels, sheets and blankets if you need them. The unit was clean. The pool was great. The Italian restaurant outside the unit was great and very accommodating when we needed that late evening Key-Lime-Pie-fix. A couple of negatives: The living room furniture needs updating desperately and the pull-out couch is falling apart. There were 5 of us staying in the unit and they only have two sets of keys so having a third set of keys for that last person/couple was a big inconvenience. Hello Kathy, glad you enjoyed your stay. Thank you for your feedback we greatly appreciate it and a new couch and love seat has been ordered. As far as the keys we are only given a set for the amount of bedrooms the properties have by the owners. Absolutely fabulous location. It had every thing we needed, very clean, love the pool! And Becky our property management gal was wonderful! This was our second yr in a row and we shall most definitely return! Hello Cathey, We are glad to of have you back and that you enjoyed your stay. See you again soon! Recently had a weekend for 6 people at this location. It was perfect. Located on Duval Street so it was a short walk to all the action, but not at the center of the action itself. The condo was 2 stories, has nice rooms, and it had some air mattresses so all of us could sleep comfortably. The pool was OK -- definitely not the highlight. But the location is what makes it. A short walk (5-15min) to either the beach, Southernmost Point, Hemingway House, and all the nightlife on Duval. Plus it overlooks an outdoor restaurant area where there are some great eating options just downstairs. It was a great Key West and I would definitely considering coming back to this location! Hello Tim, Glad you enjoyed your stay. Hope to see you again soon. Hello Michael, Glad you enjoyed your stay. Hope to have you stay with us again in the future! Nice well equipped 2 bedroom condo. Good location right off Duval, close to La Te Da's, and the beach. Hello Holly, Glad you enjoyed your stay, hope to have you stay with us again in the future. This was the perfect spot for us. Right on duval st. secure complex so it felt safe. Restaurant right down stairs, circle K convenient store right next door. The scooter/e-car rental place was right across the street and they were awesome. They gave us a great deal and we were able to park the cars and scooters in their lot over night so we didn't have to fight for a parking space. Overall great experience and will definitely be staying with them again! Hello Brandi, Thank you for your feedback. We greatly appreciate it and glad you enjoyed your stay. Hope to have you stay with us again in the future! Great location, very clean and secluded. The location was perfect. Right on Duvall street. Walking distance to everything. Very clean, and very kept up. Would definitely return to this location and highly recommend this location to anyone. Hello Sharon, Thank you for your feedback, we greatly appreciate it. Hope to have you stay with us again in the future. Very nice, location was awesome. Very nice beach very close. Only draw back was that the maintenance man would leaf blow every morning at 8 a.m. and it was really loud. The Italian restuarant downstairs was amazing!!! We ate there twice in our week stay. And it smelled wonderful everyday! The pool was really nice. Warm and had salt water. very nice to soak our sore feet every afternoon. Hello Dorothy Glad you enjoyed your stay. Hope to have you stay with us again soon. Thank you for your feedback we appreciate it. 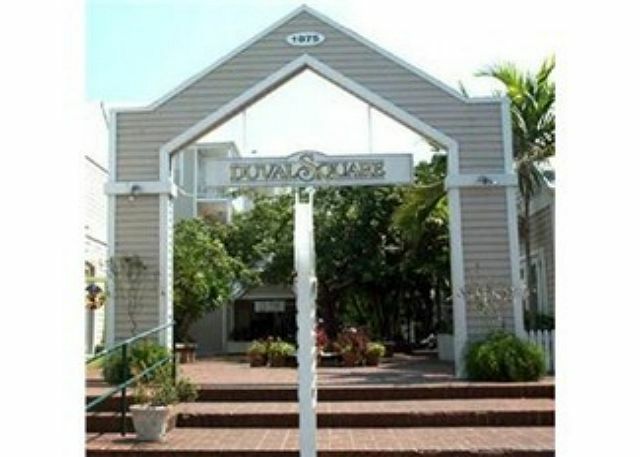 Condo is a large 2 bdr/2 1/2 bath right on Duval Street southern end. We have stayed there many times before and always have a great time.The parking is covered and free!!! Problem this time in that they were sandblasting getting ready to paint and the noise made sitting at the pool almost unbearable-and it lasted all week long during Fantasy Fest. The property location was convenient to Duval Street. It is across from the New York Pasta Garden, so you smell garlic and italian food daily (not that it is a bad thing). There was only a few things wrong: 1. the upstairs master shower drain was clogged. On check out I mentioned it. 2. The new office doesn't have a key drop yet. 3. I didn't want to go home. It is a completely secure building with a secured parking space. I would rent again, hoping I hit the lotto to buy the place. Hello Kristalynn, Glad you enjoyed your stay. We did take care of the master shower drain immediately thank you for letting us know. We also have installed our lock box and drop box. Hope to see you again soon. We'll kept unit in great location. Close enough to everything, but still quiet and relaxing! The beds were not the most comfortable, but acceptable. Would definitely stay here again. The description of the property stated that both bedrooms had a TV. There was not one in the 2nd bedroom. Also there was no air conditioner in the 2nd bedroom which made it very uncomfortable for sleeping. The rest of the condo was fine. We will stay at Duval Square again but probably not this unit. Hello Barbara, Thank you for your feedback we do appreciate it and will look into why there is not air flowing into the 2nd bedroom and will advise owner of the tv in 2nd bedroom. Look forward to having you and your family stay with us again. We loved the property and the location. I would recommend this location and the management firm to my friends. Great pool to relax in after a long hot day of walking around Key West. The ladies at the management firm were great. Nothing but a huge Thank You to them. The only issue with the property, is that the bedrooms do get hot during the day. Property was spotless with the exception of the rug in the kitchen which could use laundering. Excellent place to stay. Spacious and convenient. Clean throughout with not a bug to be seen anywhere in the unit. A/C worked well and was within walking distance of everything necessary. Would gladly book here again. The condo itself was good but there are a couple things that could be done or on hand to go just that little bit further. 1) There should be more than just 4 bath towels in the condo, especially since there were 4 of us. 2) Beach towels on hand would be nice. 3) There was a horrible smell upon opening the condo when we first arrived and it was there off and on again during out stay. It smelled like a bad drain to me and I believe it got worse when we were doing laundry. It definitely needs to be looked at, very bad. Condo itself was completely fine other than what I've stated. I'd stay again and just hope that they've resolved the bad drain smell for good. The pool was nice for the late afternoon dip. Hello Al, Thank you for your feedback, we do appreciate it. I have addressed each one of your suggestions, and have let the condo association know about the odor coming into the unit. Please contact me next time you visit Key West. Very easy check-in at the property management office. Major drawbacks - 5 people in unit but only 2 sets of keys. Only 1 parking space and no street parking anywhere nearby. Had to leave one car at management office which was on the other side of the island. Unit was in a great location with a super restaurant next door, New York Pasta Garden, with the friendliest servers and great food. The unit furnishings were a little outdated, would have preferred at least a full-sized bed in the second BR instead of 2 twins, but having 2.5 baths was great. Could not use the pull out sofa bed in the living room because the springs were broken and mattress was stained, reported this to the management company. Very nice pool area. Would like to rent at this complex again maybe in another unit. KEY WEST VACATION PROPERTIES AND REALTY IS WONDERFUL! We love the property management company and loved the condo. It was huge! Loved having the space. The pool was great. It was in a nice location - not far from the craziness on duval, but far enough away that it didnt' keep u up all night. Thanks for the great stay. Hello Lara and Jon, Glad you enjoyed your stay. Hope to see you again soon! The property was in an excellent location to enjoy Old Key West. Walked to everything. The apartment was nicely furnished and very comfortable.Never used the car which was in a secure location. My children and I would return again. Very good experience. Major problem was only having two keys. We had 5 people staying - 2 couples and a single. Made it very difficult to plan. Also there was no internet which might be a dealbreaker for a second stay. Also, it was a little difficult to find when we first arrived. We couldn't find the entrance from Duval Square downstairs. Otherwise it was very clean and worked out very well for our stay. Laundry was a great feature. Location was good - on Duval Street, but away from the noise. We had a good time. Thank you! This condo had every we needed for our short stay in Key West. It was spacious and confortable - I was hesistant at first as the photos on the web site are not very flattering. But when we arrived everything was up to scratch. The outside terrace on the ground floor has the aircon unit installed on it so it was not very usable, but this was no major problem. We did not try the shared pool. We were in Key West and made the best of the fantastic position of the condo on the quieter end of Duval street. No need for the car, happily parked in the private gated lot. We walked every where and made the best of our stay. Hello Virginia, We are glad you enjoyed your stay. We have made the owner aware of your feedback in reference to the internet. Hope to see you again soon. Thank you. Excellent. experience. Staff was excellent. Grounds perfect. Would rent there again and probably will. We very much enjoyed our stay here, and plan on returning. Perfect location, beautiful grounds and pool - seems as though you are living in a tree house, which we loved. Only complaint would be pick-up/return of keys - not at all convenient. It was a $40 taxi ride to pick up keys and, if my brother-in-law were not a runner, it would be another $40 taxi ride to return the keys. Should be a lock box outside unit. Other than that, we enjoyed this condo very much. This is the second year we stayed in this property. We found it to be the ideal location. Quiet yet within walking distance to almost everywhere you would want to go. We also have our favorite places to go which are close by. The New York Pasta Company, The Rum Bar and LaTeDa to name a few. This is a nice condo in a great location. We (two couples) had a very nice stay. One BR (theirs) was much nicer than the other (ours). I had to take care of a few minor maintenance items. There was no housekeeping service during our stay - but it wasn't really needed. We loved Key West and the property we stayed in. It was in a great location.. an easy walk away from anywhere we wanted to be. We are planning on staying here again in the future. Looking foward to having you stay with us again! This was my first experience staying in a condo when on vacation and I must say, I'll do it again. The property is very well situated near some nice restaurants and a 24 hour convenience store. It is on the far end of Duval Street, so you have peace, but quick access to the crazy parts of Key West, too. The propoerty itself was clean, well equipped, comfortable and had nice balconies. My only problem was a musty smell when you first entered which dissipated when the place got aired out a little. It was light and airy, the beds were comfortable, and the balconies were much better situated than some on other units. There is a rooster who will wake you up on occasion, and as an added bonus, a couple of cockatiels and macaws living in the courtyard. They were fun. Aces all around, I would stay here again. Only neg. comment is that there was old laundry left in the washing machine from a previous guest and it made the kitchen smell bad. Other than that, we had a great time and would love to stay with you again! We enjoy our stay the property was in good condition, we will recomend it. The only suggestion is that you need and outside box at the office to drop the keys for the condo when you leave very early. * A Post Office type retail outlet is also on the Duval Square property. * The property managers need to inform the guests that an elevator is on site. Initially, we did not know this & toted our baggage up the stairs. (the info on the websites did not make it clear that the 1st floor is a secure parking garage, & the condos are all on the 2nd floor ... and the condos are 2 story). * There are 2 decks on each of the floors ... this is a nice amenity. * The 1st floor is secure with locked gates; but be aware of guests that put tape & such over the lock engagement slots to allow no-key access. * A note to condo management, I took our trash down to the parking garage bin & found numerous recycling bins for glass, cardboard, cans, etc. Had I known of this setup with a better info sheet, I would've better separated this material before pitching it all in 1 trash bag. Also, the containers in the garage need a better identification tags or labels for a correct recycle sort. The property was absolutely perfect for our stay in Key West. The location was exactly what we were looking for. Right on Duval Street and about 1/2 mile from Mallory Square. The room was exactly what we were looking for and for the price definitely beat staying in a hotel. All the comforts of home only none of the responsibilities. Since it was my wife and her two frineds having 2 bedrooms with 2 1/2 baths was a necessity. Also, being able to cook breakfast in the place was a nice option instead of dining out. The parking was gated and so was the community so you never had to worry about safety. If I had to pick one thing to complain about it might be that the community pool area didn't seem to be kept as nice as it could have been but it was still nice to lounge by a private pool after a night of dancing and drinking. Overall it was a fantastic place to stay. Hope to do it again. I enjoyed the stay in Key West. It was nice to be on the quieter end of Duval St. We were still close to restaurants, southern most point, Hemmingway's house and shopping. I would come back to the area. We contacted these Property Rental Folks on a last minute situation and were quite pleased with the helpfulness and urgency to find us a place within the means. overall we were the best located out of all the people in our party and everyone loved our unit. Would we go thru them again? you bet ya! would we rent here again? you bet we would! thanks to all that helped! Six of us stayed in the unit and it fit our needs wonderfully with the two bedrooms and a sofa bed plus two and half baths. The location was great we were near the action but far enough away from the noise of spring break. The only issue we had was with the dishwasher it had stinking standing water in it but the renting agent was very helpful in solving the problem. Best place in Old Town! The convenience of Duval St with all the comforts of home. Very affordable! We arrived late on a Saturday and had lots of trouble checking in due to difficulties in finding the complex and using the keys provided. That said, once we were able to enter the condo, we loved it! Terrific location, very roomy, only complaint we had was the quality of the bedding. Personally, I loved the morning rooster calls! We loved our stay since it was easy access to all of our activities. It is located closer to the ocean, than the gulf... so many of our activities required a lot of walking, which we did not mind. This property was very well maintained and quiet location. Parking is a premium so we loved the idea of a private parking garage with easy access to the street and the apartment.